Garry Wesley - Has performed throughout the United States Canada, Australia, Mexico, South America. He has performed in several Las Vegas productions such as American Super Stars, Legends In Concert, Legends Alive, Greg Thompson Productions and many others. Garry has also produced his own shows for Legends Alive. He has performed with the Legendary Jordanaires, The Blackwood Brothers Quartet, The Sweet Inspirations , Ms. Millie Kirkham, DJ Fontana and Joe Esposito. 2003 Garry entered and won 1st place in the TRIBUTE TO THE KING competition held in Lula MS. He was awarded the largest purse ever given to a Tribute Artist Garry is the only tribute artist to perform in Memphis during Elvis Week for the past 25 years. In 2009 the City Of Memphis awarded Garry for keeping the memory alive for Elvis Fans World Wide. He then received a second award from Elvis World Wide fan clubs. 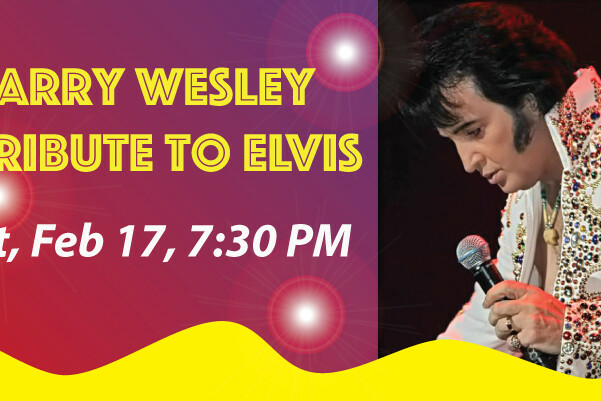 Elvis Presley was the greatest Entertainer that has ever lived, and Garry has captured the passion and charisma that made Elvis the legend he is. Garry not only bears a striking resemblance to Elvis but he has perfected those famous gyrating moves. His impeccable voice will stun you.